We work harder to offer you San Francisco’s most friendly, modern and comfortable hostel and guests have thanked us with awards year after year. In fact, we were just voted Most Popular San Francisco hostel* for the 4th consecutive year! Just three blocks from Union Square in the heart of the city, we’re a short walk from Chinatown, Japantown, the historic cable cars and San Francisco’s best shopping. Once you’re done seeing the sites, relax in our comfortable dorms, featuring our custom-designed privacy pods and private rooms, with hotel amenities ready for you to relax. Or you can trade travel stories with new friends in our many social spaces including a recently renovated lounge, dining area, kitchen and library. We even have a yoga studio to stretch those sore muscles! No other hostel in San Francisco offers all this making us the best value in hostel accommodation for backpackers, flashpackers and budget travelers. There’s plenty to do in this great city…from visiting Alcatraz, watching the sea lions at Pier 39 and sampling gourmet food at Fisherman’s Wharf. San Francisco also offers great museums, spacious parks and exciting nightlife. Please note that our prices do not include taxes. All daily bed rates of $40 or more are taxed at 16.25%. Bed rates under $40 are taxed only a 1% tourist tax. Daily breakfast of fresh fruit, oatmeal, fruit juice, coffee/tea, cream cheese, peanut butter and all the pancakes you can make! The Milk Bar is located at 1840 Haight Street across from Amoeba Records and at the entrance to Golden Gate Park. This comedy club and music venue features a variety of high-concept stand-up performers, local bands, and video and DJ parties almost every night of the week. Be sure to check out Milkin’ It, the bar’s free comedy show every second and third Tuesday. Get acquainted with this awesome city on our FREE walking tour! You’ll see why people leave their hearts in San Francisco and make new friends as well! Sign up on site and meet in the lobby at 10am. Every Thursday night from 6pm-10pm at Pier 15. Enjoy a unique, thought-provoking series for adults. 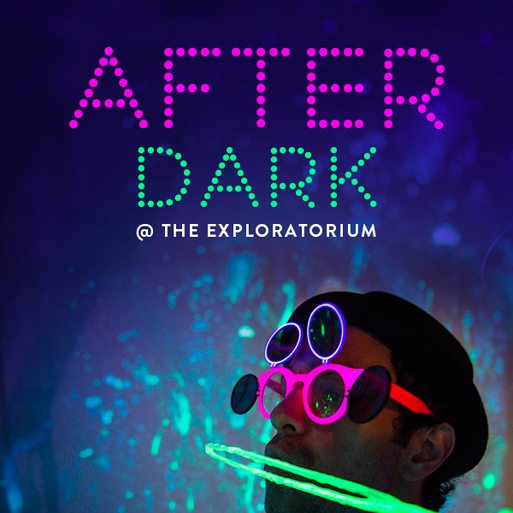 Grab dinner and drinks by the Bay, play with hundreds of hands-on exhibits, crawl through our pitch-black Tactile Dome, and explore. For more information click here.